I am finding it impossible to keep the sliding dropouts from moving out of position while riding. I am afraid to torque the bolts down too hard so I am hoping you guys know a secret that I don't. It is not sliding forward all at one time like when I get on the cranks really hard . . . it is more like it is just inching forward a little at a time. Any help? Thanks. Get the correct torque specs for the slider bolts from Kona, and have your LBS torque them. 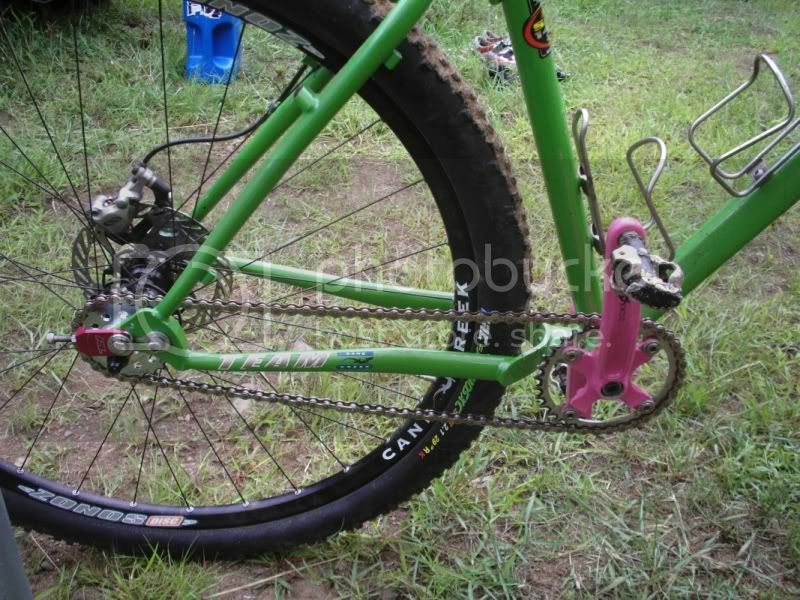 Then, if they still slip, you can look at other solutions, like perhaps slider adjusters like on the '07 Monocog Flight. On my unit29 I modified a $5 redline chain tensioner to pull the slider back and hold it to the frame. I have a 2005 Kona Unit. Like many others, I'm waiting for Kona to release their 2007 dropouts. They're just like their previous dropouts, except they finally have that lovely little tensioner screw. I've been in contact with Kona, and they told me they would be available in January, but you know how these things go. 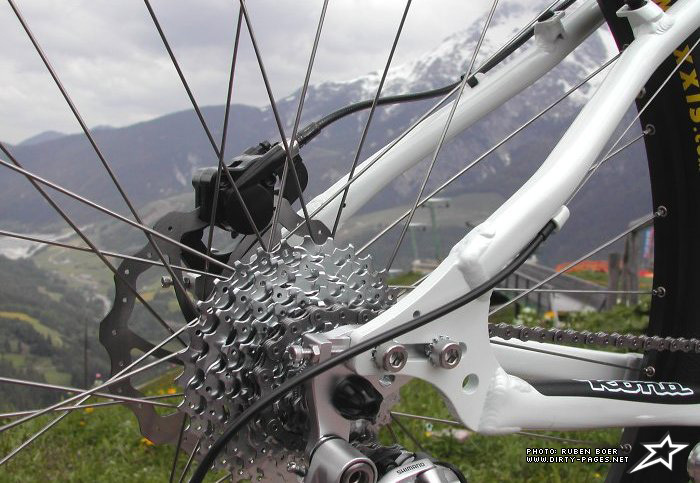 Here's a pic of a 2007 dropout - just imagine it without the derailleur hanger. We found that the "thru-bolt" probably would've done the job alone. FYI-Kona now has the dropouts available for order on their website. $30 is a small price to pay to fix a huge headache if you ask me! I just ordered myself a set. Please please please take pictures of said dropouts when they arrive. No problem. Lucero, like the band? Not quite - I had a cheap classical guitar - brand name Lucero. I liked it.